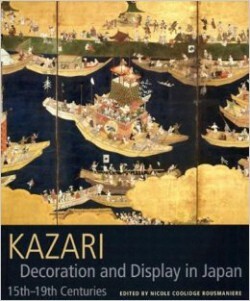 This sumptuous volume, published to accompany a major exhibition at Japan Society Gallery in New York and the British Museum in London, focuses on the decorative aspects of traditional objects arranged in specific architectural contexts. The concept of kazari, “the will to decorate,” embodies the interplay between objects and settings in a dynamic process that stimulates both the visual and intellectual senses. With superb examples of decorative and fine art objects from important international collections and writings by leading scholars in the field, the book will make a significant contribution to the appreciation and understanding of Japanese art and design.